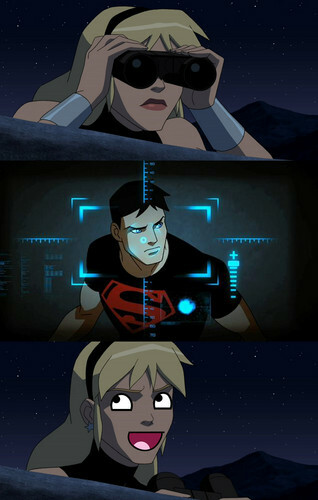 This is why Nightwing doesn't team-up Superboy and Wonder Girl. Saw something similae like this in tumblrand though it was funny and it would look better if it had a LOL face so ta-da. HD Wallpaper and background images in the 영 저스티스 club tagged: young justice superboy wonder girl.